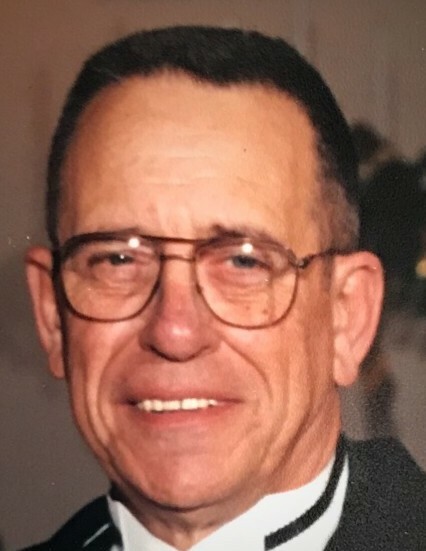 William E. Dalton, age 81, of Quincy, Ohio passed away at 9:40 A.M. Friday, March 22, 2019 at home surrounded by his family. He was born in Logan County Ohio July 15, 1937, to the late Ivan Eugene and Martha (Strasser) Dalton. On December 19, 1958, William married Phyllis M. Notestine and she preceded him in death December 18, 2017. He is survived by two children, Debbie Dalton and Don (Laura) Dalton, both of Quincy; three grandsons, Drew (Chelsey) Dixon, Blaine (Kerri) Dixon, and Lukeus Dalton; two great granddaughters, Blaire Dixon and Grace Dixon; a sister, Katie Weeks and several nieces and nephews. A United States Army Veteran, William had worked as a tool and die inspector throughout Ohio. He loved animals and enjoyed hunting, fishing, coaching youth sports and working on the family farm. He was also a member of the Miami Grange. Verna Fielder will officiate the funeral service at 2:00 P.M. Wednesday, March 27, 2019 at the Daring & Sanford Funeral Home in DeGraff, Ohio where the family will receive friends from 1:00 P.M. until the time the service. Burial will follow the funeral service at the Fairview Cemetery in Quincy.